Thick and full lashes frame the eyes well, making the person look more appealing. However, thinning of the eyebrows and lashes is an issue that men and women face every day. It happens due to the lack of nourishment. 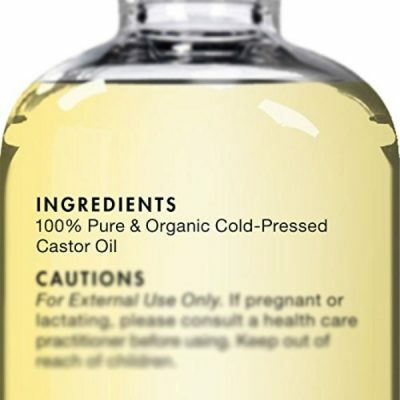 Castor oil, with its abundance of nutrients and essential fatty acids, help prevent the stunted growth of the hair. 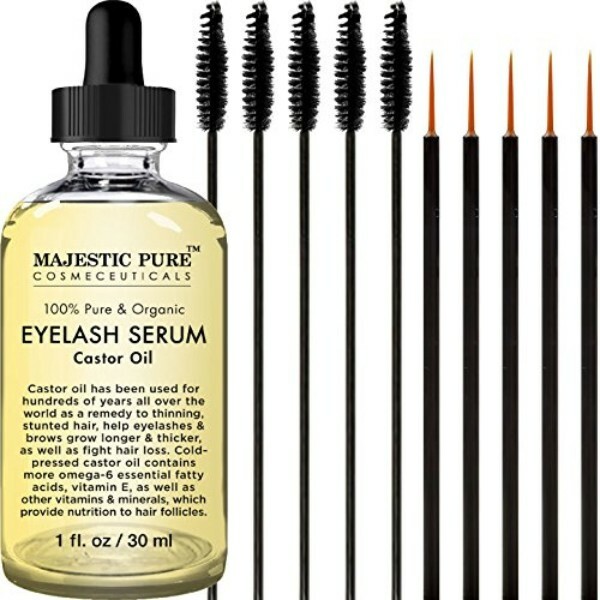 Majestic Pure offers castor oil serum that promotes the growth of thick and full eyelashes. Castor oil is made up of 40% to 60% essential fatty acids. These fatty acids are good for the skin and hair. They have therapeutic effects that improve the functions of the body including the growth of healthy hair. One of the issues that castor oil targets, is the lack of nourishment and essential fatty acids to stimulate hair growth. Majestic Pure designed this eyelash serum to prevent the thinning of hair and to stop hair fall. 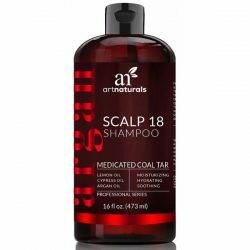 It contains vitamins and minerals that help nourish the hair. Vitamin E is a well-known antioxidant that fights free radicals. 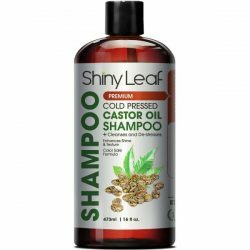 It strengthens the follicles to prevent hair fall or the thinning of hair. 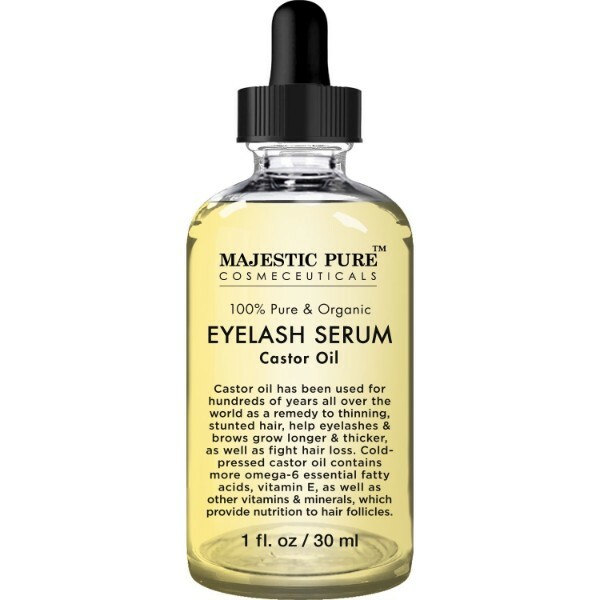 One drop of oil goes a long way to cover the eyelashes. 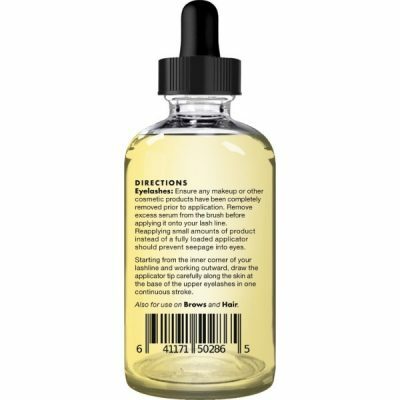 The brand also created this serum to address issues of hair loss. 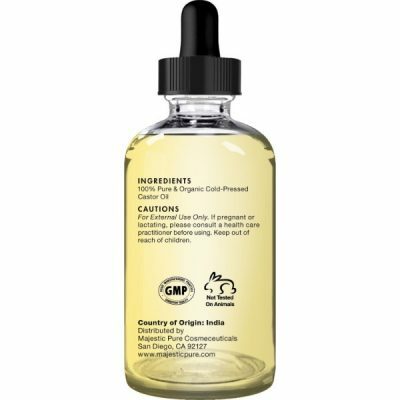 This quality oil is safe to apply for all skin and hair types as well. Majestic Pure castor oil promises results of longer and thicker eyelashes. This product comes with a set of mascara brushes and eyeliner applicators. The applicators are suitable for applying it to brows and lashes. It helps make the application easy and mess-free. Just apply it to the lids and the brows every night. It feels light and silky when applied to the skin. This serum also absorbs well through the skin and hair so it does not leave greasy residues. Try it out and experience its wonderful effects. 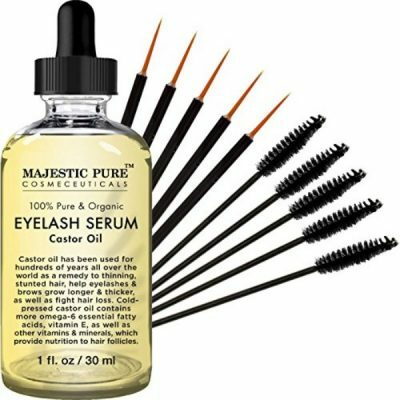 Majestic Pure’s Castor Oil is 100% cruelty-free and not tested on animals. Make sure to remove any cosmetics from the face. Cleanse the face well and pat dry. Dip the eyelash applicator or the mascara brush on the bottle. Remove excess serum on the applicator by sliding it on the rim of the bottle. It’s best to use small amounts of serum and reapply until eyelashes are fully covered. It prevents the serum from seeping into eyes. Apply the serum from the inner corner of the lashes and brushing outwards. Do this until it is fully covered. The same goes for the lower lashes. Use the applicator to draw along the roots of the lashes. Dip the mascara brush on the serum and remove the excess. Brush the eyebrows with the mascara brush starting from the inside and working outward.